Surprise parties are great for congratulations, birthdays and many other occasions. 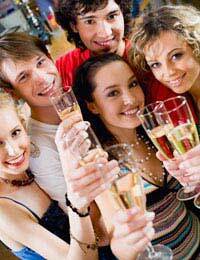 However you need to keep it a surprise to get the best reaction out of the person you are throwing the party for. So your surprisee doesn’t feel hard done by when you say you aren’t doing something for their special occasion you should make something up. Tell them you are going out for a meal but it is a surprise as to where you are going. Make sure you don’t dress it up too much, leave it understated. You also need to ensure you don’t answer any of their prying questions. Give them one snippet and stick to it. Soon they’ll get the idea that you aren’t giving anything away and will leave you alone. Preparing the party can be a little difficult if you intend to have a lot going on and even more difficult if you live or work with the person you are throwing it for. Enlist the help of your friends and family to ensure you don’t give anything away but make sure all your helpers know the party is a surprise and can keep a secret. Prepare when the surprisee is at work or in bed, make quick phone calls to the florist when you pop to the shop for a pint of milk. Make sure you don’t leave a trail; if you have a particularly curious surprisee they might be doing all they can to work out what is going on. If the surprisee is your spouse, best friend or family member then ensure you delete all phone calls and texts relating to the party if they are the sort to go through your phone. If you don’t necessarily know all the surprisee’s friends then Facebook is a great way of seeing to whom they speak to on a regular basis. You can then contact these people (don’t add them as friends it’ll show up in surprisee’s feed) via a private message. Tell them who you are and what you are planning. They might be able to help invite more people you don’t have contact with. Your invites need to be ones that your surprisee isn’t going to stumble across. An open Facebook event is a bad idea but a closed, private one where only you can invite people might work. These Facebook events don’t show up in the attendee’s feed, in the global event listing or on your profile page. The only people who will see the event are those you invite. So make sure you don’t invite the surprisee. If you need to send paper invites then make sure the recipients know not to leave them lying around the house. Maybe they should be told to burn the invite as soon as they’ve noted the details down somewhere private. The last thing you want is your surprisee popping round a friend’s or coffee only to see an invite to their own surprise party. Stick with your original idea; tell the surprisee that you are going out for a meal. Say that the venue is a surprise and that they will have to be blindfolded during the journey. If the trip to the venue is a long one then the surprisee with become disorientated soon enough that you won’t need to worry about them working out where you are going. If it is a short trip then drive around a bit more. Make sure they are really confused as to where they are going.